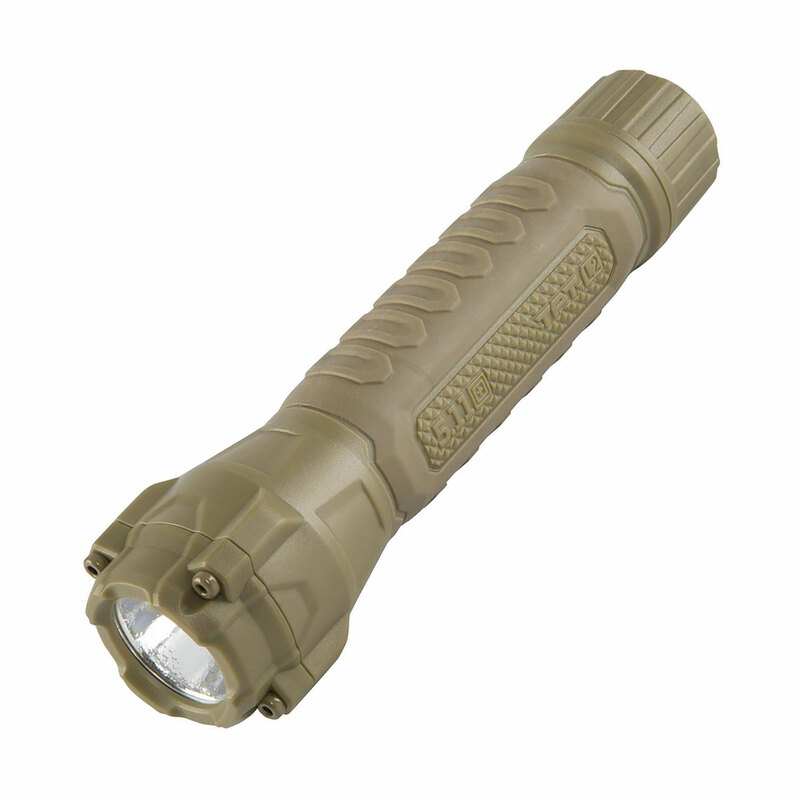 The 5.11 Tactical TPT L2 251 Flashlight 53225 is built from water and impact resistant PC ABS polymer composite for maximum durability in a wide range of patrol environments. Offering 3.5 hours of run time on high mode, the TPT L2 251 casts a dazzling 251 lumens of light in a smooth tactical beam with a bright hotspot and wide corona, providing superior target acquisition and maximum peripheral vision in low light settings. Lightweight construction increases mobility and accuracy, reliable Cree LEDs and a regulated circuit ensure consistent performance, intelligent switching allows seamless transition between high, low, and strobe modes, and a square head design prevents rolling.